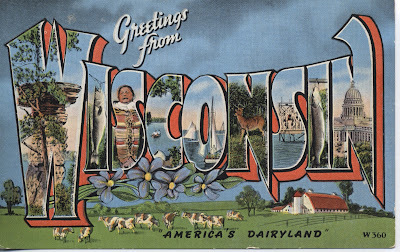 Greetings from Wisconsin....With this vintage, large letter postcard. 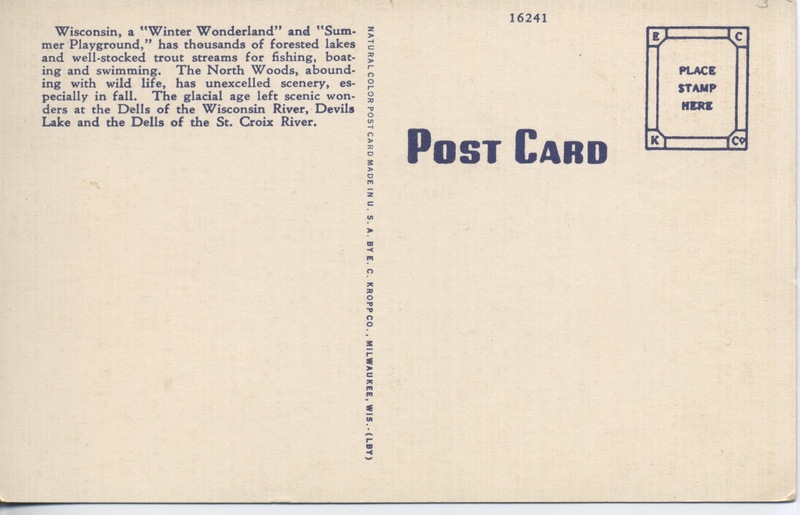 The back of this unused card tells of all the attractions of Wisconsin. Happy Rally Day! This little gem of a card is a Rally Day Invitation - a reminder of a bygone holiday. 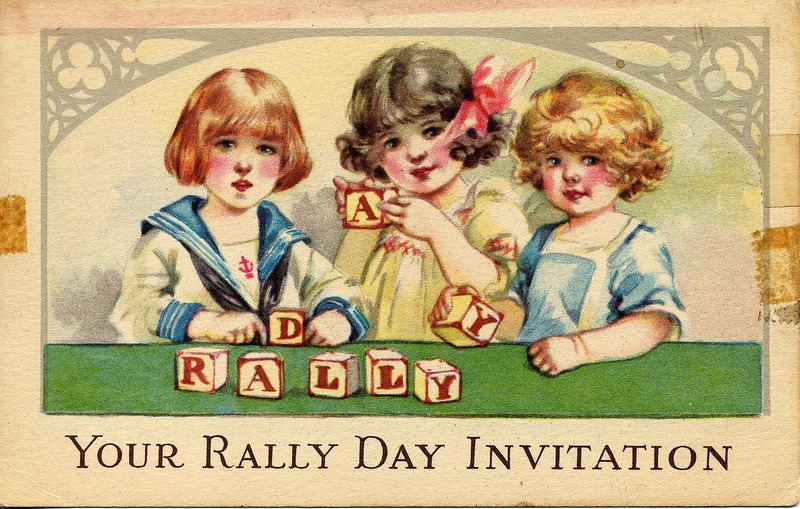 Celebrated to honor George Washington's Birthday, this year's Rally Day is February 23. 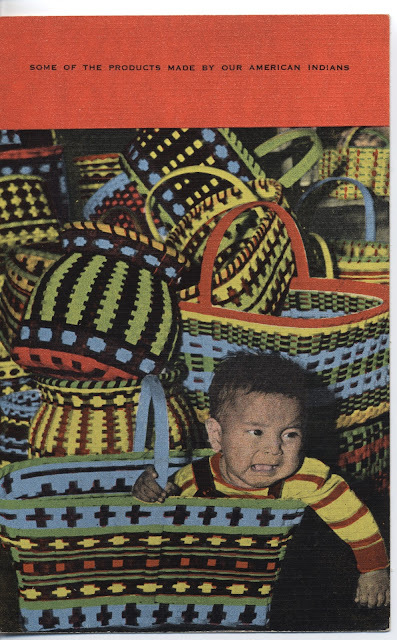 The card is a cute, color illustration showing three children with alphabet blocks. 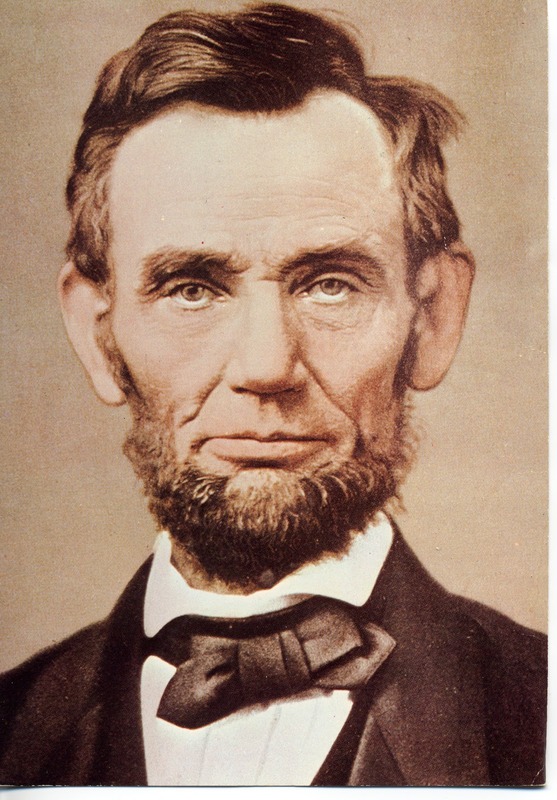 from George Washington to ﻿Waren Harding. A vintage, black and white photo post card, used in the 1980's. 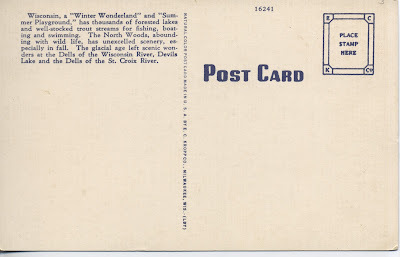 The typical postcard template is printed on the back of the card. It was probably found at an antique store. 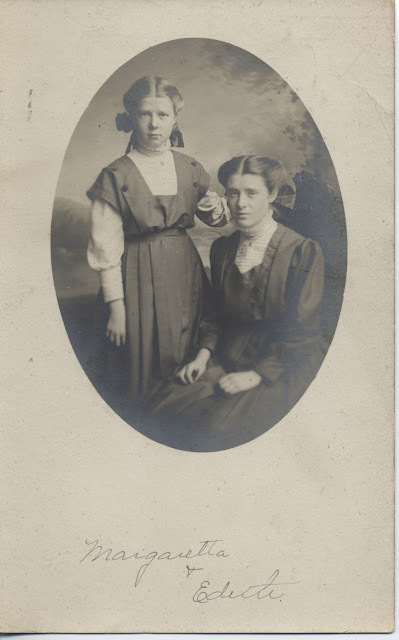 The front is labeled "Margaretta & Edith" there are no other clues as to who these two are. What's their story? Finding photos like these reminds me of the blog Forgotten Old Photos. But at their site, they actually find a good number of the people (or their descendants) that are in the pictures. 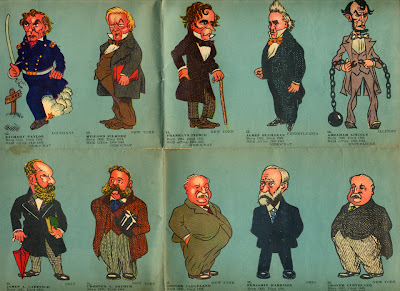 You can find some amazing stories at that blog. I, however, am not so persistent. I just make up quotes for my old photos. For this one: Margaretta "I won't tell, if you don't tell." Edith "Quit pulling my hair, will you?" 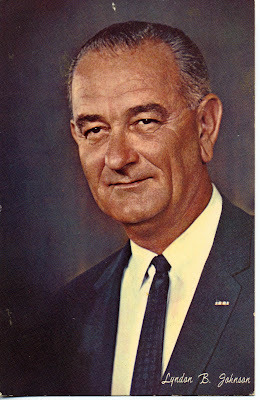 Part of a large collection of Presidential postcards, ranging from Washington to Clinton, and even a few Bush thrown in. Some are serious, some are humorous. 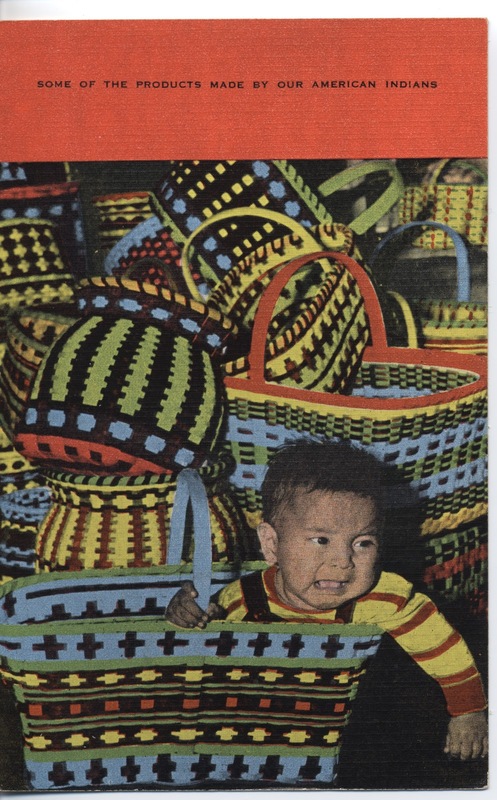 "Some of the products made by our American Indians"
This is part of a larger collection of vintage Native American photos and post cards. 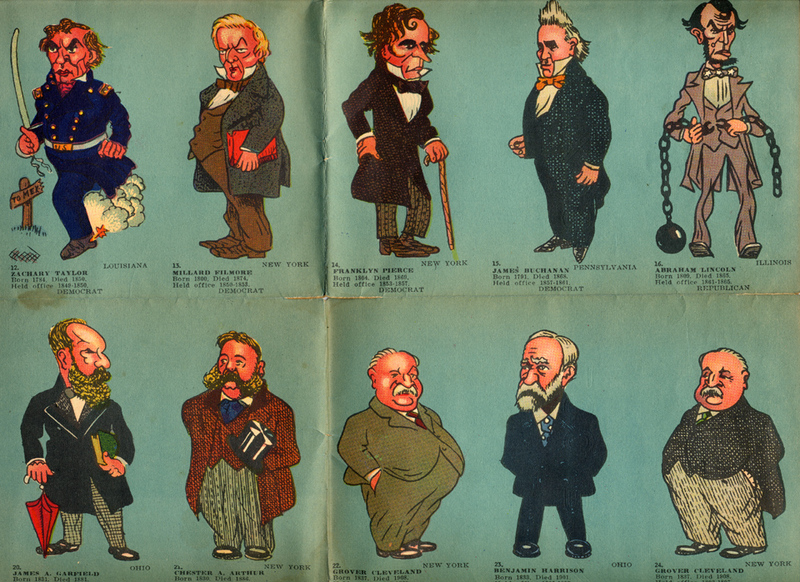 Although the language on the card is dated (ahem, not PC) the cards depict a variety of people, art, geography, and culture. 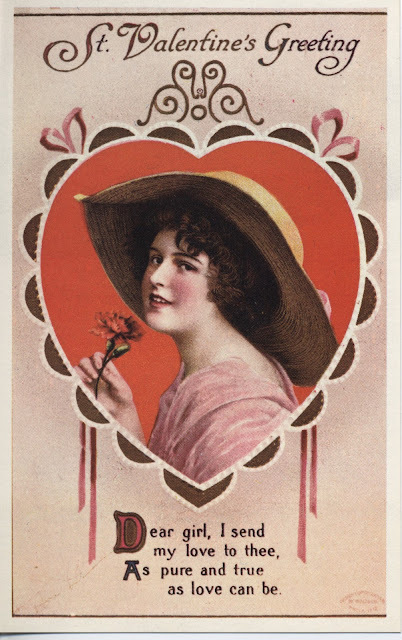 A bright and colorful Valentine's post card. 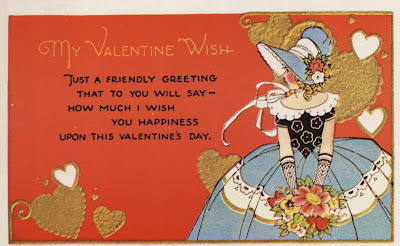 A lovely girl is a flouncy dress, and metalic gold hearts complete the card. A week filled with birthdays and celebrations! 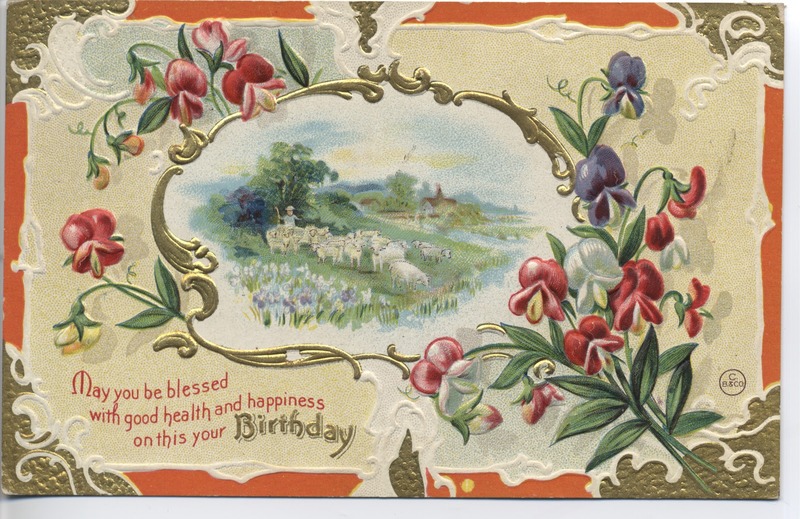 I love this quirky vintage card. It has a beautiful flower horseshoe and it's fuzzy! 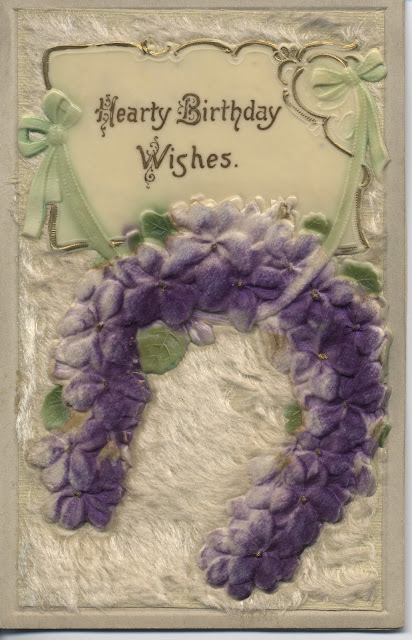 What a fabulous vintage card. Who wouldn't like to receive a furry floral birthday message? Happy Birthday to my 12-year-old daughter! Wow! 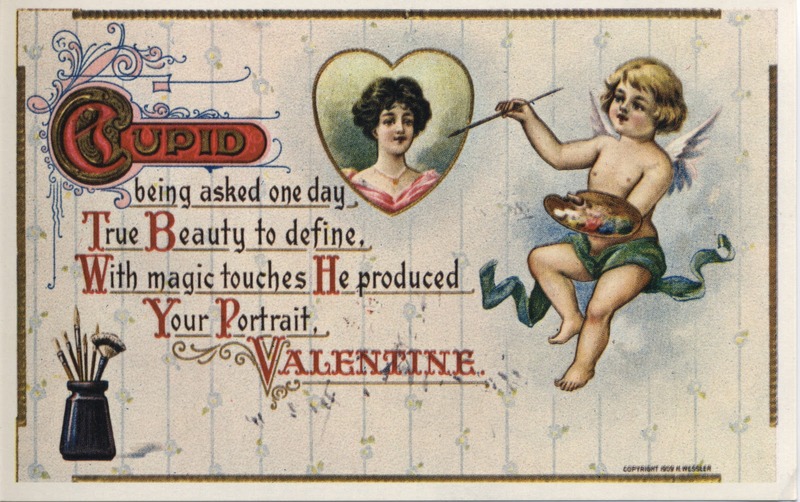 ﻿ ﻿ Another vintage Valentine's greeting, this one with a sappy little poem. To borrow this image for your own art or craft usage, right click and save to your computer. Personal use only, please. 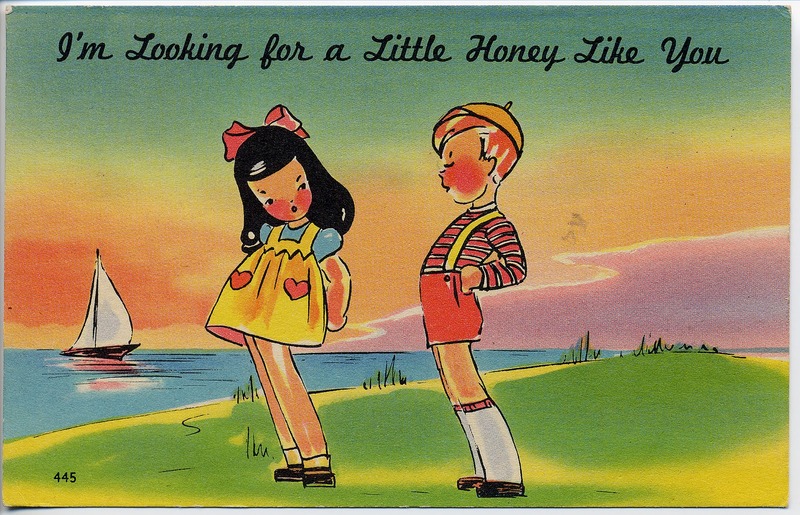 Another postcard over at Art + Food + Friends, perfect for Valentine's greetings. 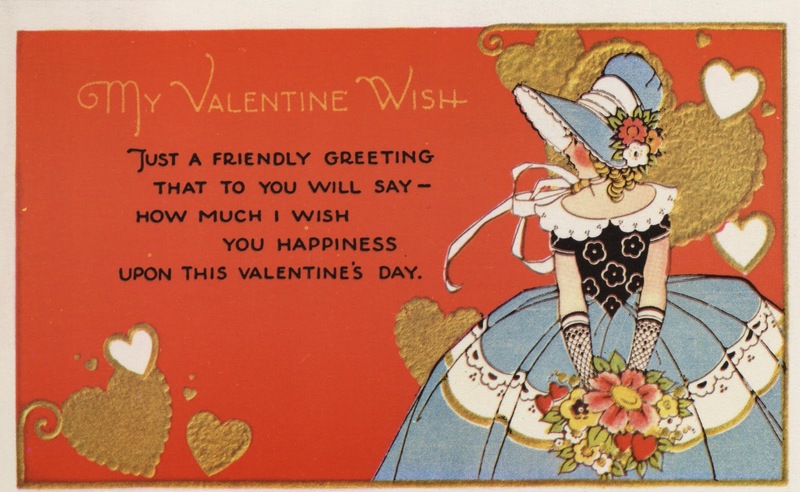 ﻿﻿ A sweet Valentine sentiment on this vintage Valentine postcard. To borrow this image for your own art or craft usage, right click and save to your computer. Personal use only, please. 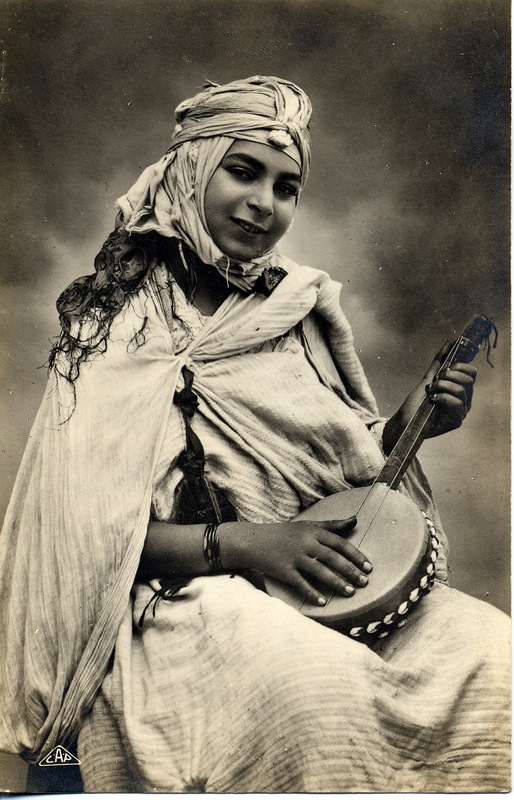 An intriguing black and white vintage photo postcard. 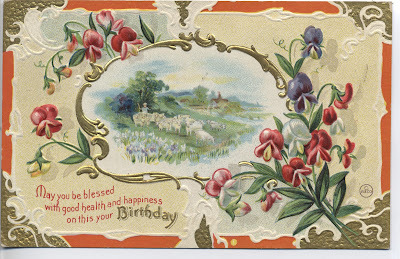 This one has a little imprint in the lower right corner C-A-P.
Perhaps she's singing a love song. What's her story? 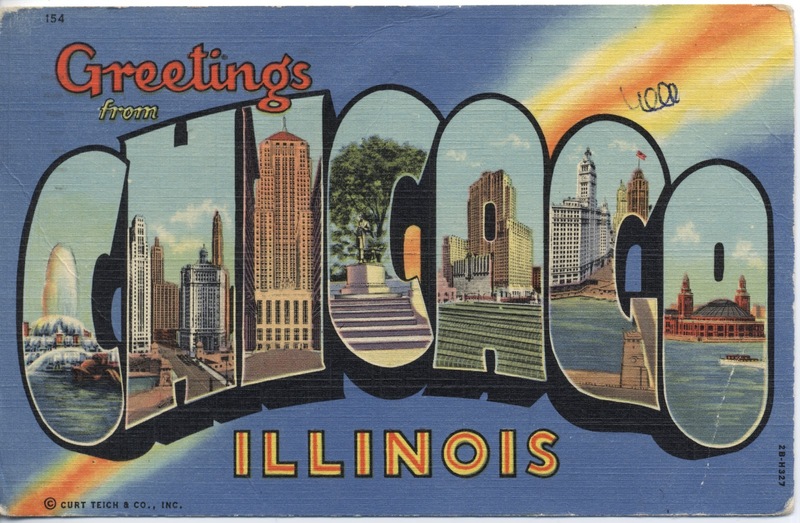 A great Chicago postcard. 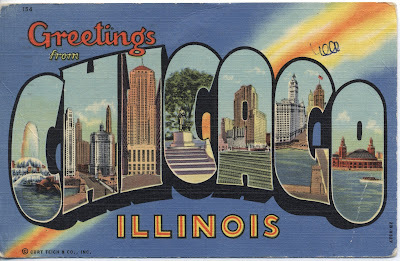 The colors and textures are great in this photo collage of the Windy City. 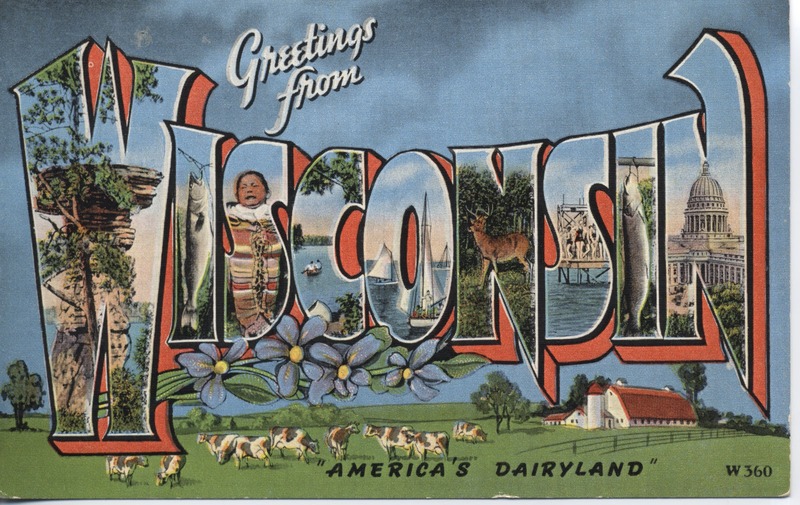 (never mind the unfortunate little pen scribble in the upper right) Thinking of my family in Chicagoland, today. ﻿﻿ ﻿ A cute color postcard - a sweetheart message. 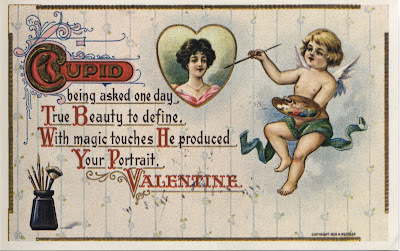 Reminds me of the Valentine cards we traded in school. To borrow this image for your own art or craft usage, right click and save to your computer. Personal use only, please. Enjoy!